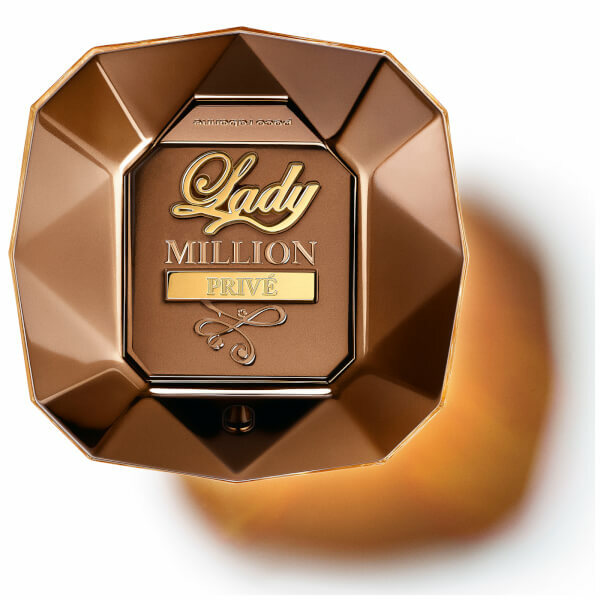 Discover the Paco Rabanne Lady Million Privé for Her Eau de Parfum; a fruity oriental fragrance that exudes opulence, wealth and glamour. Opening with juicy Raspberry and creamy Coconut, the captivating perfume develops into a floral heart of Orange Blossom, Heliotrope and Jasmine, before settling on a rich Cashmere, Cocoa and Patchouli base. Housed in a multifaceted, diamond-shaped bottle, the seductive scent encapsulates the Paco Rabanne woman. Heart Notes: Jasmine, Orange Blossom, Heliotrope. Base Notes: Cashmere, Patchouli, Honey, Cocoa.